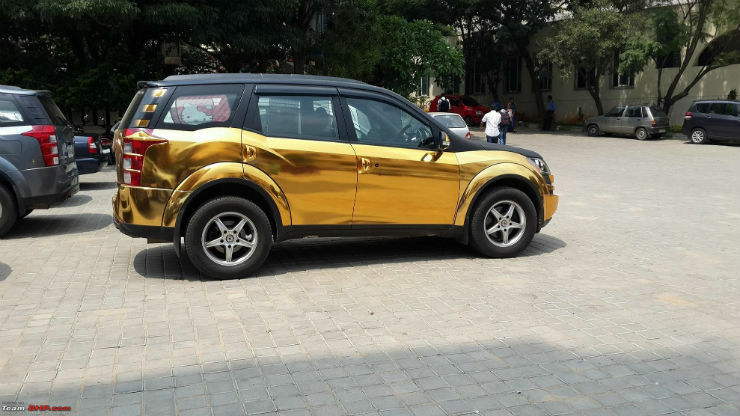 Gold and chrome wrapped cars: From Mahindra XUV500 to VW Polo to Hyundai i20 and more! The Mahindra XUV500 is a popular car in its segment, outselling its closest rival, the Safari Storme by a large margin. The XUV500 is a vehicle that is well loaded, looks good and drives well. Being a good overall product, a lot of enthusiasts picked up the XUV. This also means there are a lot of modified examples of the same in the country. 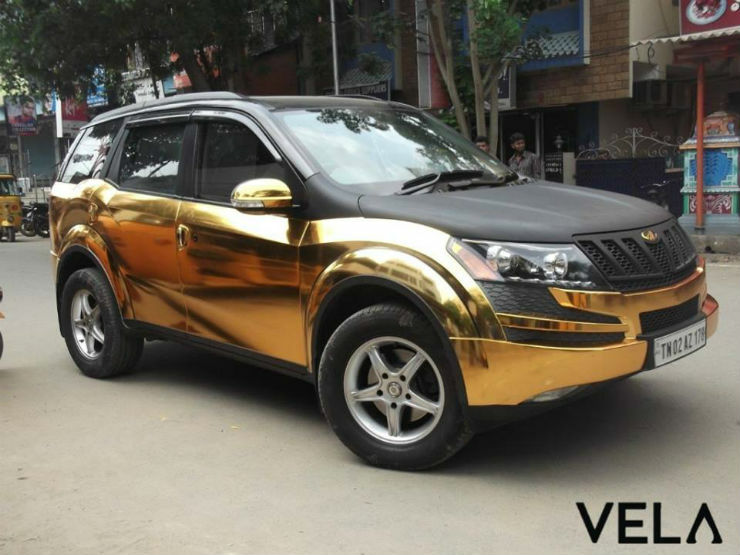 One such example is this XUV500, which has been finished in gold chrome/black wrap. This certainly does make this XUV easily recognisable. Since people down south love gold, this fits right in. The Chevrolet Cruze is another car which has a lot of mod potential. 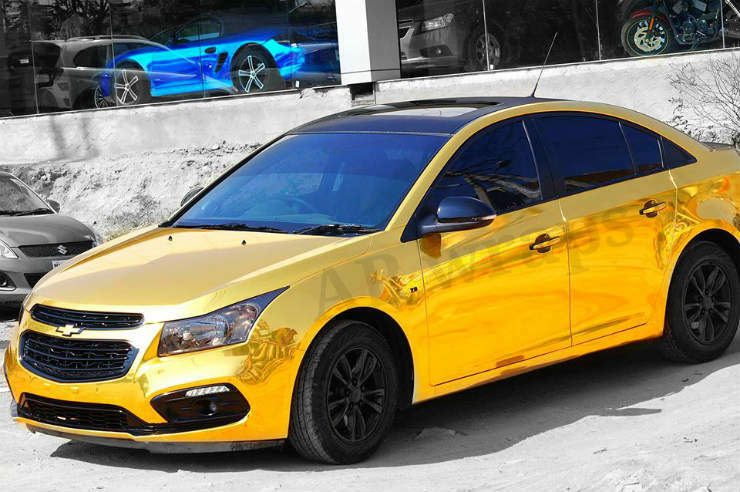 We have often discussed the technical mods and the body kit possibilities on the Cruze. However, if you don’t want to do all that and just want a minor make over, a wrap is the easiest thing to do, as you can see this on the Cruze featured here. This particular Volkswagen Polo hatchback has not just got a wrap job, but has also gotten a body kit as well. The work has been done by Modern Beauty Cars Chennai. The Polo is among the more elegant hatchbacks in the segment. This is one way to make the Polo more of a head-turner. The Honda Accord is a vehicle which you would think people buy only to enjoy the back seat, and rightly so. There are a bunch of people who have however bought and modified the Accord, in various forms. 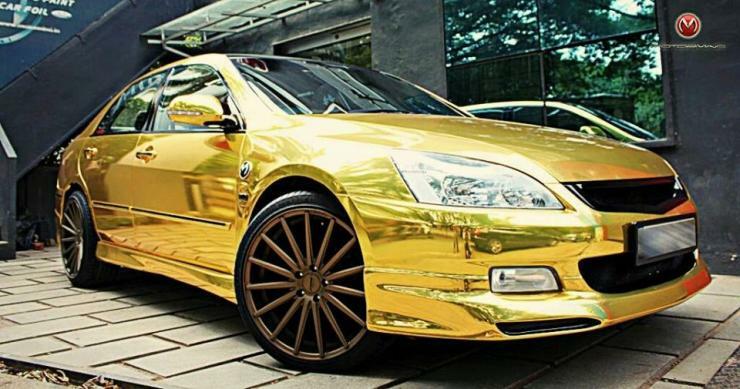 This is one such Honda Accord that has received a custom gold chrome wrap by Motormind. Speaking of Motormind, they have also done up a Mercedes C 63 AMG. Now the C63 is an understated car, that is until you hear the growling V8 under the hood. If you do have the exhaust valves open, you are sure to get all the attention, irrespective of the colour the car is finished in. However if you still want to stand out, a gold chrome wrap will surely help you do so. The Hyundai Creta is a popular compact SUV. It is one that has been the king of the market, ever since it was introduced. Even with the hefty price tag, it still manages to outsell its closest rival, the Duster by a large margin. While the car is very popular, there aren’t too many modified examples of the same. 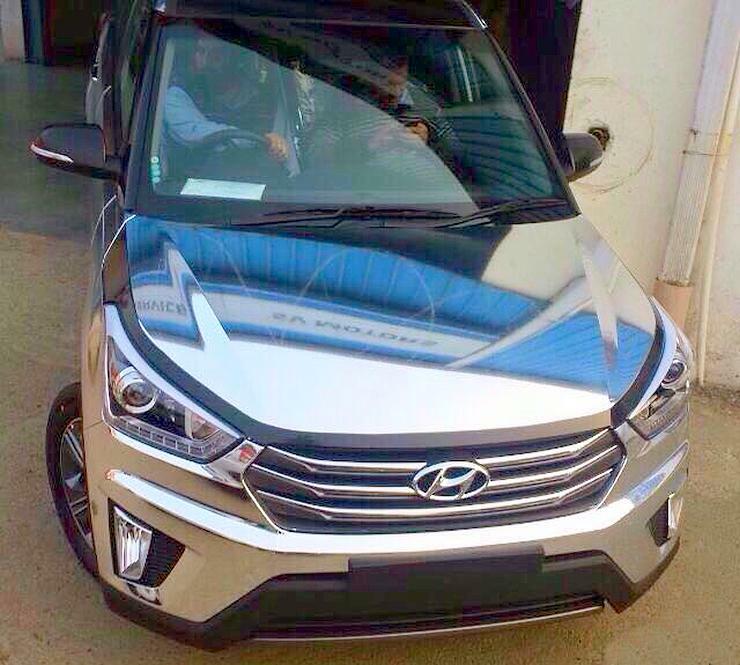 While we wouldn’t really call this modified, here is one such Hyundai Creta that has been given a visual make over courtesy the chrome wrap. The Cruze, like we mentioned is a very popular mod car. 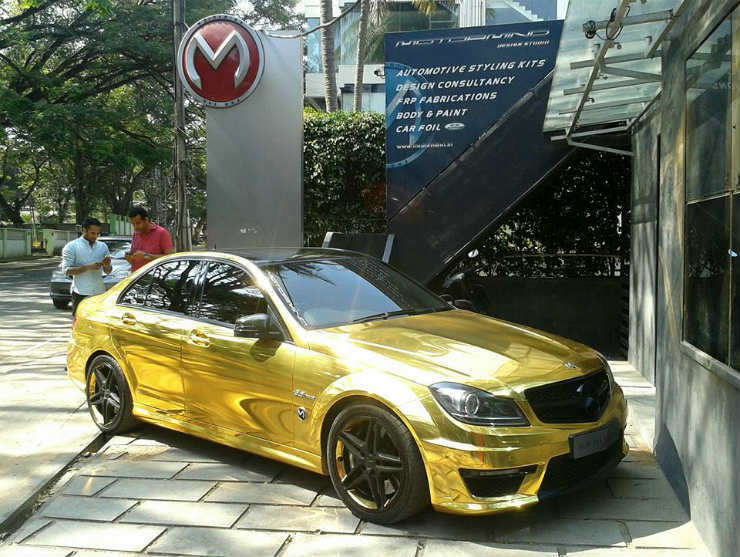 While the other gold one we featured only had a wrap and no other mods, this one here has a body kit on it as well, courtesy Motormind. The kit includes a more muscular bonnet a new bumper design, adding to the aggression on the Cruze. The ‘Uber cool’ i20 is a car that was well received in the market by the youth, mainly due to the fact that it came well equipped. 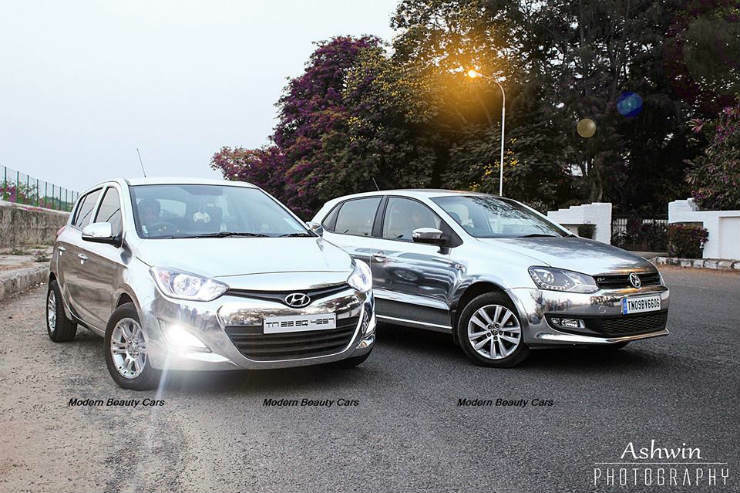 Keeping that in mind, here is an example of a silver chrome i20, from Chennai. The S Class is not a car that you’d think people will make any changes to. Yes, when you spend more than a crore on a car, you certainly don’t want any one to tinker around with it. 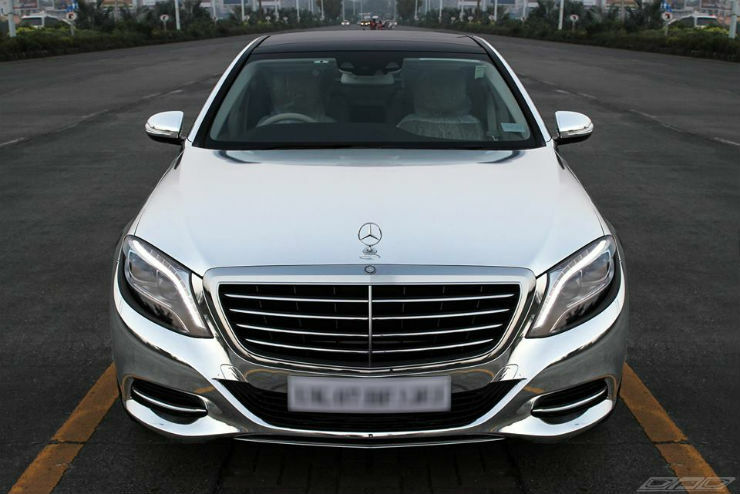 The S Class is only offered in a few colours in the Indian market, which means if you want anything else, you will either have to get it wrapped or spend a lot of money to get it done by the company. Here is one example of a chrome wrapped one, done by DAD. 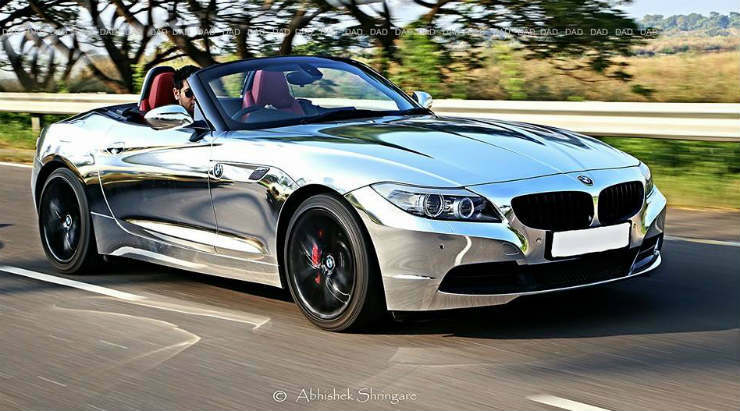 There are a lot of Z4s that have been wrapped in the country, this being one of them. 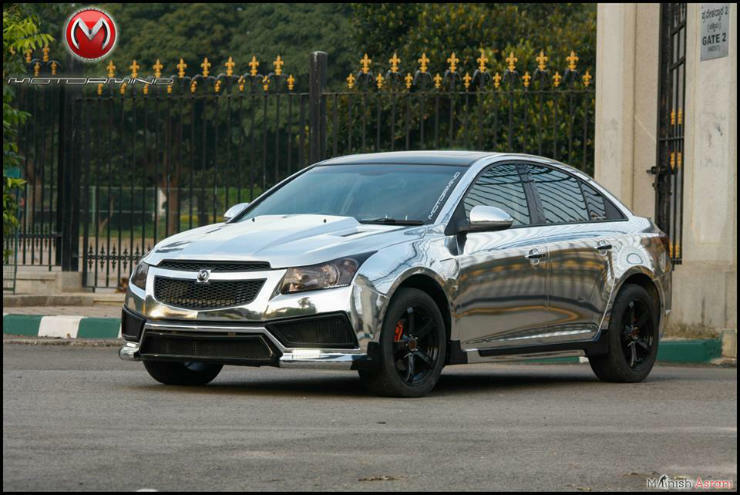 This is one of the few chrome wrapped ones in the country and has also been done by DAD.